It was 10th June, a pleasant day devoted mostly to packing in the morning! After settling the bill at hotel in Colombo we headed for the Maradana station and boarded the train for Katunaikye. In an hour we reached the station and took an auto to the Bandaranayke International airport. First time since we left India, I managed to catch up on my reading by remaining glued to the ‘Inferno’ by Dan Brown a perfect book for holiday! Later in the evening we tasted the local savories of chocolate peanuts, chocolate biscuits and even a mango flavored tea!! Our Emirates flight took off precisely at 8.30 PM and we just managed to scroll through the hit movie list when the flight descended onto the match box like runway illuminated in dark as we saw the picture flashing on the TV screen. Ibrahim Nasir International airport on Hulhule island was fairly crowded as a number of flights come from all over to the remote island nation. A pleasant surprise awaited us, as we emerged out. Just across the terminal was a boat jetty where the efficient staff quickly loaded our baggage on the boat! The boat silently streaked through dark sea towards Male which was illuminated. A scene akin to a James Bond movie! A short walk from the jetty in Male brought us to the hotel. The streets were full of revelers enjoying life! We dozed off immediately as we hit the bed. Next day started with a nice breakfast on the terrace restaurant which provided a view of surrounding hotels and restaurants and the distant island of Hulhule (the airport) where the constant view and drone of incoming and outgoing flights looked fascinating. Soon we were on the streets. The best thing about Male is it is just about 1.5 a km long and less than one km wide! The boats tethered to the jetty bobbed up and down with the sway of waves. The water was so clean that even fish and the bottom were clearly visible from the jetty despite so many boats and small ships in harbor. We took a long walk along the President Jetty, the local vegetable and fruit market and fish market! They were a sight to remember where the juicy papayas, bananas, water melons and host of other fruits were neatly stacked and were in abundance! Tempted, we too purchased a papaya! We continued our walk till we landed on Villingili ferry point and took a short ride across (10 min) to the Villingili island. The beach on the island was bereft of teeming crowd. Only companions were a few burqa clad girls and men taking bath as any kind of bikinis and shorts are prohibited on the public beaches. A nice stroll on the clean sand with abundant vegetation around was very refreshing. After an hour we took the return ferry back to Male and strolled through the streets admiring the Mosques, National Museum, Police headquarters till we reached our hotel. In the evening we once again walked through the streets and took yet another ferry to the Huluhumale island and the ride took 20 minutes. The island has been created from reclaimed land. A lot of locals load their motorbikes too on the boat to ferry across on the other island. One thing that struck my attention was the nice infrastructure of roads on this new island and maintenance of gardens. There was a small market and at the other end of the island was a long stretch of white sand beach where the sun was setting. What more could I have asked for to see the sunrise on one island and sun set on another one on day one in Maldives!! Next morning we walked around the local market and tried to book the tickets for the ‘Whale Submarine’ dive and went to their office. Despite persuasion they insisted on payment in USD for the ticket, a currency which I was not having with me. A search around from local banks did not bear any result. Disappointed we tried our luck with a local company Maldivian Holiday that made a couple of calls and told us that the Submarine Company had agreed to give us tickets as a special case after approval from their sales manager. After a quick lunch, I got the ticket from the office and returned back to hotel feeling victorious! Maldives is one of the few places in the world where tourists can ride a submarine and see the underwater world! Overlooking the mosque is the solid, round, blue-and-white tower of the munnaaru - the squat minaret. Though it doesn't look that old, it dates back to 1675. Later in the evening we visited the ‘artificial beach’ which was about 500m from the hotel. It has been created for leisure and is very popular. Nearby, a Flea Market was on in full swing! It had traders selling all kinds of daily use items ranging from clothes, shoes, food, electrical items, etc. Next we made a visit to the Islamic Centre, The Parliament, Sultan Park, Friday Mosque( Hukuru Miskiiy) and the biggest supermarket in STO(State Trade Organization)building , all in close vicinity. Later we watched the sun set near the Hulumale Ferry terminal, as the speed boats and other bigger boats zipped across in the harbor! We now looked forward to the Submarine dive the next day. m as we kept staring at the marine world full of beauty and color one can never imagine! Fish as small as a bubbles of water and school of them floating like a cloud to multi-hued fish almost 5 feet long kept coming close within a kissing distance. The submarine took a turn near a huge coral reef where literally thousands of fish surrounded us. As we were staring them with astonished looks two divers appeared on the porthole waving to the passengers from the other side! Around afternoon the submarine made a hissing sound as the ballast tanks were emptied and the submarine surfaced up amid thousands of escaping bubbles! We were ferried back to the real world. A short stroll through the streets brought us back to our room. Later in the evening we made another trip to the Villingili Island and took a swim on the quiet beach! In Maldives, if one does not take to water, than not enough justice is done to the place. There are so many attractions everywhere starting from the well preserved city, beaches, culture and endeavor to make this small nation carbon free that one remains awestruck! There are a multitude of islands and atolls where there are holiday resorts and offer snorkeling and scuba diving that are popular sports! A perfect blend of tradition and acceptance of new values cannot be better seen elsewhere! At night we dropped to bed like logs of wood remembering about the lovely scenes of the underwater world witnessed during the day! The day to bid adieu to lovely Maldives had come. The heavy downpour that started at night continued through the morning. The previous day’s addiction of the swim in the Artificial beach prompted us to head in the direction even before the breakfast. We walked through the light drizzle to find a group of youngsters reveling in the waters besides a group of men and women. The swim was very refreshing and the constant drizzle from the sky up above was a perfect soother. After the breakfast we went for a walk around the town which had suddenly fallen silent! We realized later that it was a Friday (holiday for Jumma)! After the stroll we returned to our hotel and completed the packing and checked out of the hotel. At 4.30 PM the flight took off for Colombo providing one last magical glimpse of this dreamy vacation as the small islands trailed past from the view. At Colombo the flight landed by 6 PM and we got ready for the next flights to Chennai and Delhi. In the early morning hours, the flight descended into Chennai and we headed for Mamallam( T Nagar) from the airport. A lovely breakfast of steaming hot idlis and coffee rejuvenated us once more. Later in the day we took the flight to Delhi after exploring the evergreen markets of T Nagar. A fitting finale for the lovely trip! Amaaaaaaaaaaaaazing is all I can say :D! Wow the submarine Rahul sir that was awesome and the video is breathtakingly lovely. Ramya, do plan a trip to Maldives and you would be given all travel advice:)Special thanks from Jyoti for all those kind words of appreciation!! It was great going through this travelogue. I wish I could visit these places. Til then I am happy to see all these wonderful places through blogs. Thanks for sharing. 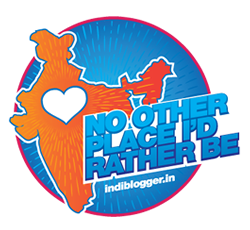 Surely, I consider myself blessed to see some lovely places and readers like you who like to read about them! Thanks a lot! I too wish you were there:) A big thanks!! Like always your nice words are the best appreciation one could get, Arti! The papayas were just out of the world with no seeds, and the coconut was huge and sweet, thanks to best tropical environment!You should have a ride in the submarine if you happen to be there! A big thanks Jessica for your kind comment! This time I can tell you that I have been there too, twice! Heaven on earth! What a beautiful place for a holiday, it all sounds wonderful dear Rahul, great photos and video. Thanks a lot Dianne! It certainly was a wonderful trip! I wish I could also come there... thrilling video! Indeed lucky to have been there and I too wish you were there to see and share the fun:)A huge thanks, Simran! Ah! Great travelogue and submarine looks too very cool! E' uno dei posti più belli del mondo! E 'infatti uno dei luoghi più belli della terra, Alessia e si deve visitare, se non ancora fatto! Have visited Maldives 10 years ago but never did the submarine trip. May be it is time for me to do another trip there. Time to revisit, Asamptha and enjoy the place all over again with family! You should change your Blog title to - Around the World with Rahul. Ha ha... nice one Purba, but am still to see so much more! :-) I long to see marine life like that! Ah, I've so many miles to go before I sleep! Thank you for the "trip" in the meantime, Rahul. Yeah Vidya, a different world and so little of it we know!I too believe that we have many miles to go before I sleep:)A big thanks again! What a beautiful beach it is! Riding a submarine looks fun. I have heard these island is getting under water one by one.It's so bad.Thank you for taking to such wonderful islands. A huge thanks Sarah for liking! The place is just amazing!! Inshaallah! you will visit one day Sunakshi:) Thanks a lot for your nice comment!! Hi Rahul, the Maldives sound like a dream, I know many people go on honeymoon and now I see why, the oceans are heavenly. Love the sound of the market, great inspiration for any foodie! The underwater world must have been such a magical experience, thanks for sharing these wonderful memories with us. When I look back, I too feel it was more a dream than reality to see so much serenity and beauty in one place! The beating of waves on shore and the fruits in market were like being in the Garden of Eden! Thanks a lot Sam!! Sounds truly idyllic! Thanks for stopping by. Lovely pictures, Rahul. I loved the beach, am green with envy. Ha Ha Rachna! One more time!! Wow... comes the first word after going through the post.. Thanks for the virtual trip through description, pics and videos.. The submarine ride must have been great fun.. I am not a great fan of beaches but definitely Maldives is a place not to be missed.. Thanks a lot Jaishree! Maldive has a charm unparalleled elsewhere! I need to find out what a mango flavored tea is. Must try Mango flavor tea, KK Am sure you will like it and do enjoy the water nothing to beat that!! I travel to all those lovely places virtually while reading your blog posts! Especially enjoyed watching the fish in the video! beautiful captures...lovely place to be! Welcome to my blog Kalyan and am happy you liked it!! I really like the detailing in your travel blogs as it makes it so easy to visualize! Nice read! WOW, sure was a good trip barring few local restrictions. Can't understand why they wanted USD? Those local restrictions hardly come in way, Saru and yes the USD mean a lot in cash strapped economies and hence the thirst for green dollars! !Thanks a lot!! Do you recommend Villingili Island for a day trip to enjoy beach & water activities? Saw a nice pic of it in your post. But, I found somewhere on the net that it's a residential island now with quite a big population. Anyways, nice blog. Hey...nice experience or good description of your maldives vacation and you are a good writer.Always try different destination because travel to someplace different can give you more mental stimulation and excitement than a trip to a regular spot.